Claire is a Paraplanner for Taatjes Financial Group. She is originally from Clara City, MN and a graduate of MACCRAY High School. Claire attended Augustana College in Sioux Falls, SD, graduating with a Bachelor’s degree in History and Government. Claire was previously employed in higher education where she specialized in Federal Student Aid programs. 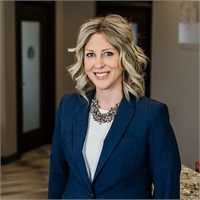 As a Registered Representative, Claire holds a Series 7 (General Securities Representative) and Series 63 (NASAA Uniform Securities Agent State Law) licenses. Claire’s duties include providing direct support to Ben’s clients and maintaining client relationships within the firm, client meeting preparation and follow-up, rebalancing client accounts, and general account maintenance. Claire resides in Clara City with her husband, Brenin, and 2 sons, Graeme and Lawson.